Oh you guys. I am sooo pooped. I got home at 1 a.m. last night after an 11.5-hour drive during which I was crammed into the middle back seat of a car between my mother-in-law and my sister-in-law. We’re at it again. Modern Materialist, the Nerve.com products blog that provides the bulk of my income, is again hiring. 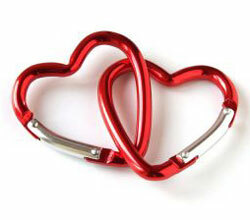 And as MM’s lead blogger, I’m the lucky chica in charge of finding the best darn products blogger out there. 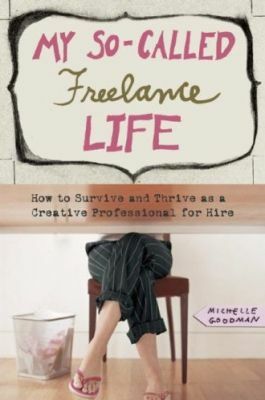 In the midst of blogging, Christmas shopping, and tree trimming, I’ve been sneaking away all week to steal some alone time with My So-Called Freelance Life, the most recent freelance survival guide from alt-work guru Michelle Goodman. And let me tell you. It is good. Which is why I’m taking a break from our usual Thursday interview to introduce you to a true source of infinite wisdom, in paperback form. Honestly? This is the book I wish I had a year ago. Seal Press is a goldmine (I swear, they’re all I’ve been posting about lately) and, though the press is aimed toward women, many of their how-tos and handbooks are relevant to men as well. 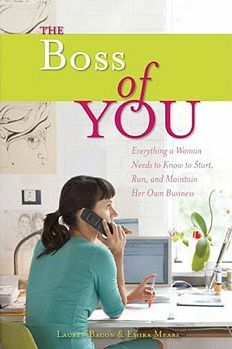 Which is why I don’t mind bringing up another one of their books, Lauren Bacon and Emira Mears’s The Boss of You. Over at Nerve, I blog about products you need, products you’ll love, and products you probably don’t need but, gosh, they’re so nifty! (My work there gave me the idea to have a regular products feature here at Freelancedom.) During the course of all this blogging, I’ve found many prepackaged “survival” kits, which got me thinking… what could a freelancer on the go use in a survival kit? After the jump, the 6 items I came up with.